Appliance Repair Cleveland: Should I Repair or Replace My Broken Appliance? 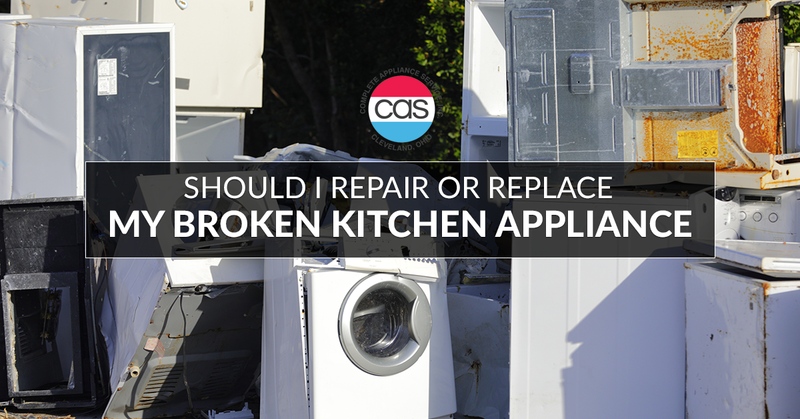 Should I Repair or Replace My Broken Kitchen Appliance? On a list of annoying issues you can have in your home, a broken kitchen appliance is near the top. 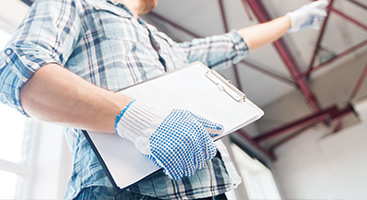 Whether your refrigerator is warm or your dishwasher is leaking water, you may be wondering whether you need to call Complete Repair Service to come to your home in Cleveland to fix it, or whether you should just replace it entirely. When determining whether or not you need to repair or replace your appliance, there are certain factors you should consider. Nothing lasts forever, and if your appliance is nearing the end of its predicted lifespan, it may be time to replace it. How long an appliance can be expected to last is dependent on its type. If your appliance is approaching the end of its life expectancy, it may not be worth it to pay for a repair because you will need to replace it shortly anyway. As time goes on, kitchen appliances are becoming more and more energy efficient, so while replacement may cost more upfront, it may be the most cost-effective solution for you. When your appliance isn’t working, you may immediately begin to panic and assume the worst. However, there are many smaller problems that may prevent your appliance from working properly, despite how well you have maintained it. Make sure that it is actually broken by calling Complete Repair Service. If it is a minor repair, it probably doesn’t need to be replaced. If it is something more severe, replacing it outright might be the most cost-effective route. We would be happy to come in and help you determine what the problem is. Another factor you should consider is how long you intend to live in your home. Are you going to be selling in the next couple of years? Think about how much you’re willing to invest in your kitchen when considering your near-future plans. Chances are you want your appliances to match. Not only are mixed-matched appliances an eyesore for you as the homeowner, if you are trying to sell your home in the future, mismatched appliances are unappealing. If you have a set, it may be best to repair the broken appliance and wait until the other appliances are at the end of their lives to replace them all at once. If your appliance is still under warranty, you may be able to get it repaired at little or no cost to you. 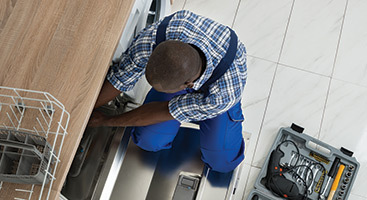 Most warranties last a year through most manufacturers but look into your individual appliance to determine whether or not it is still under warranty. Is this the first time this appliance has needed repair, or do you seem to be calling Complete Appliance Service twice a year to get it up and running again? You will want to consider how much time and money you are putting into your appliance when deciding whether to repair or replace it. One good rule of thumb is to consider the value of the appliance; if the repair is going to cost more than half of what it’s worth, it may be best to just replace it at that point. Is your kitchen the center of your home, or just another room of many? If you rarely cook and your kitchen appliance breaks down, it’s best to just get it repaired. Because you don’t use it as often, it will remain in good condition for longer. On the flip side, if you are a veritable home chef, it might be better for you to upgrade your appliance so you can finally have the kitchen of your dreams. If your appliances are old and inefficient, you may be able to qualify for a tax credit if you replace them with more efficient models. Look into whether or not you qualify for any financial incentives when deciding whether to repair or replace your appliance. 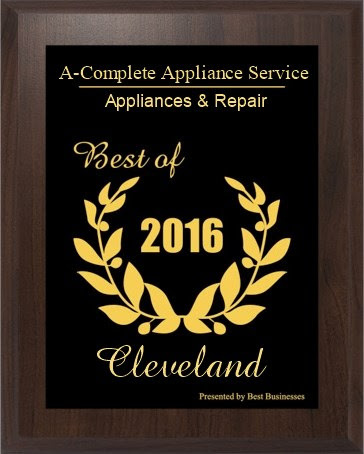 Regardless of whether it’s your dishwasher, refrigerator, or oven on the fritz, we would love to help you with the appliance repair you need in Cleveland. 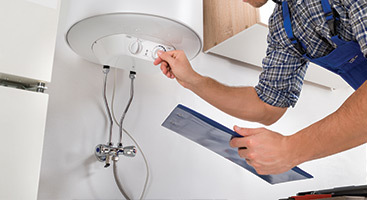 At Complete Repair Service, we have decades of experience in appliance repair in Ohio. Contact us today to schedule!